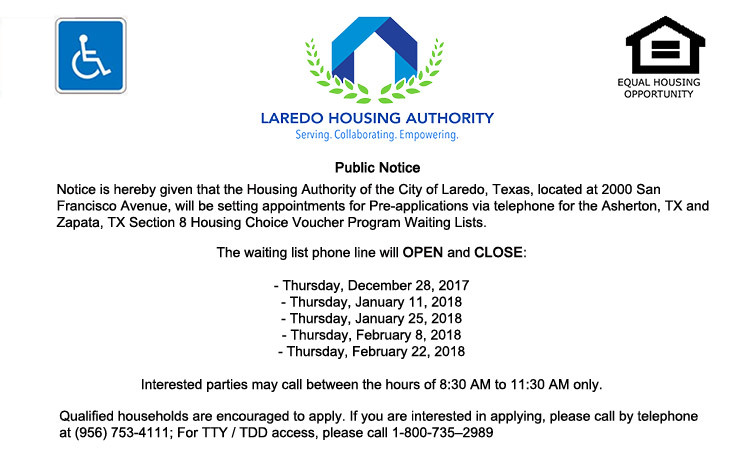 Notice is hereby given that the Housing Authority of the City of Laredo, Texas, located at 2000 San Francisco Avenue, will be setting appointments for Pre-applications via telephone for the Asherton, TX and Zapata, TX Section 8 Housing Choice Voucher Program Waiting Lists. Interested parties may call between the hours of 8:30 am to 11:30 am only. Qualified households are encouraged to apply. 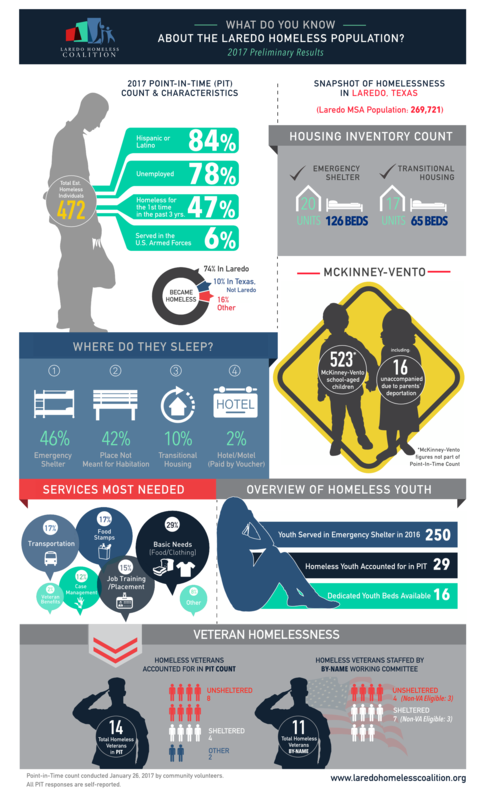 If you are interested in applying, please call by telephone at (956) 753-4111; For TTY / TDD access, please call 1-800-735–2989.